One of my favorite movies is “Lake Placid” with the amazing Betty White. I found her role to be so incredibly funny and in my opinion really made the movie. 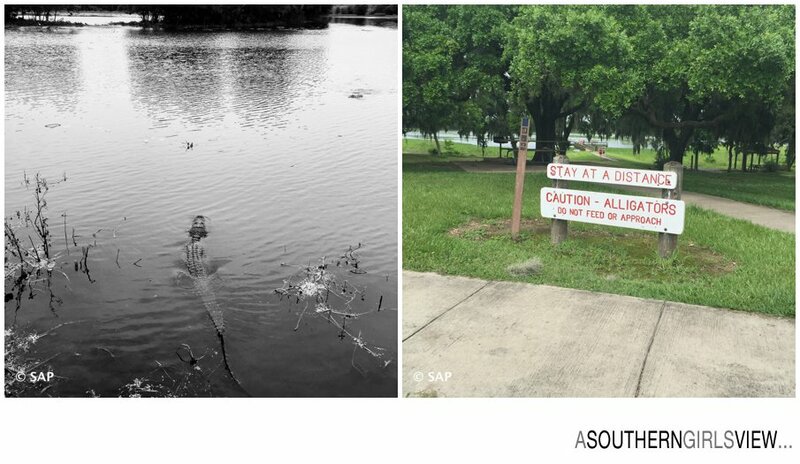 On a recent excursion to Brazos Bend State Park, I was often reminded of Betty White and that movie as I walked the back trails, with alligators everywhere. Brazos Bend State is located in Needville, Texas. 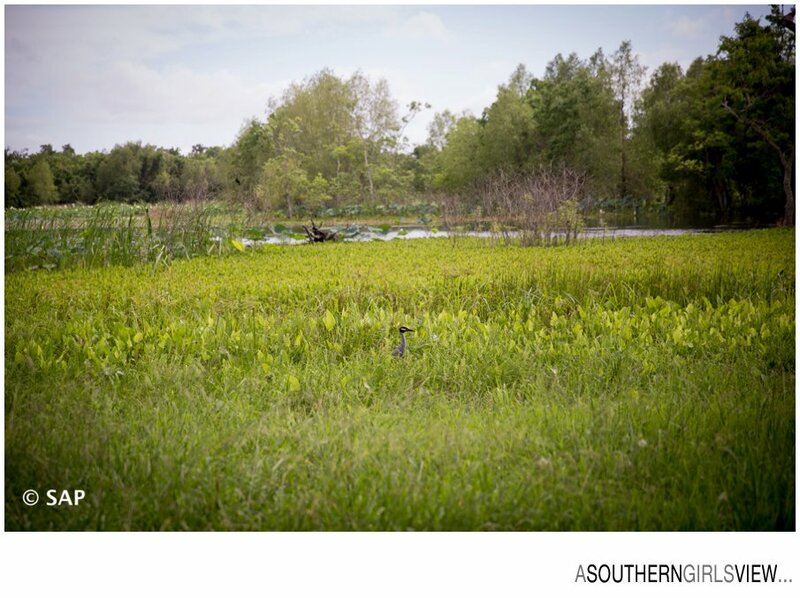 The park is located about one hour from downtown Houston. 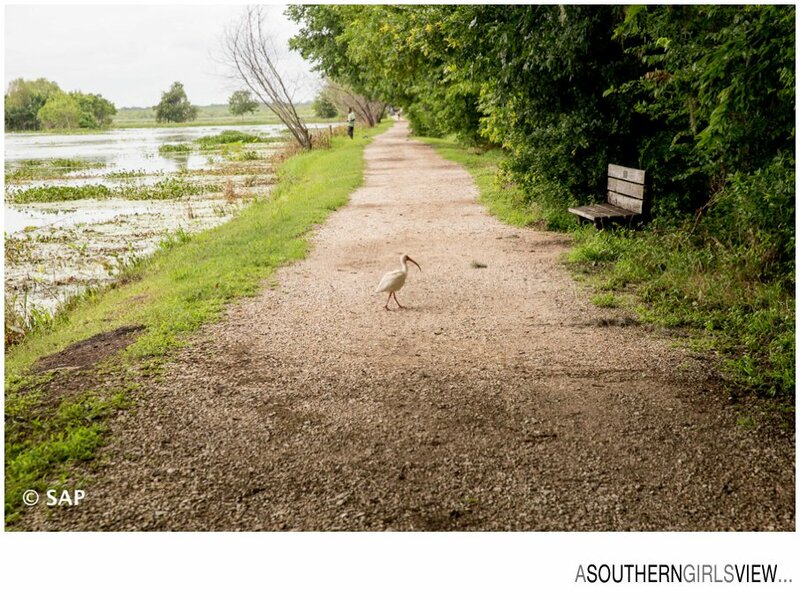 The park encompasses roughly 5,000 acres of land near the Brazos River. A little over 3 acres borders the river itself and this area has a long varied historical history. My afternoon hike here was very productive. 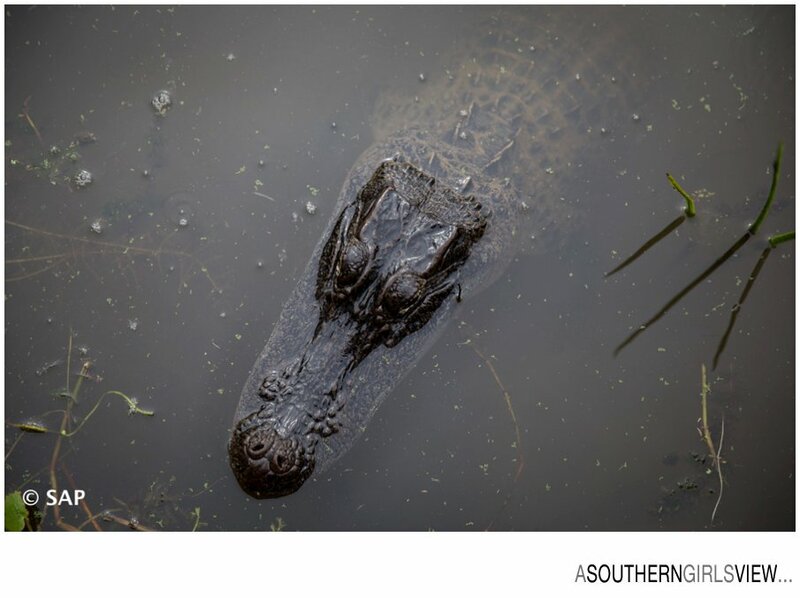 I saw about 30 alligators in just the small distance that I covered around the main lake and swamp area. 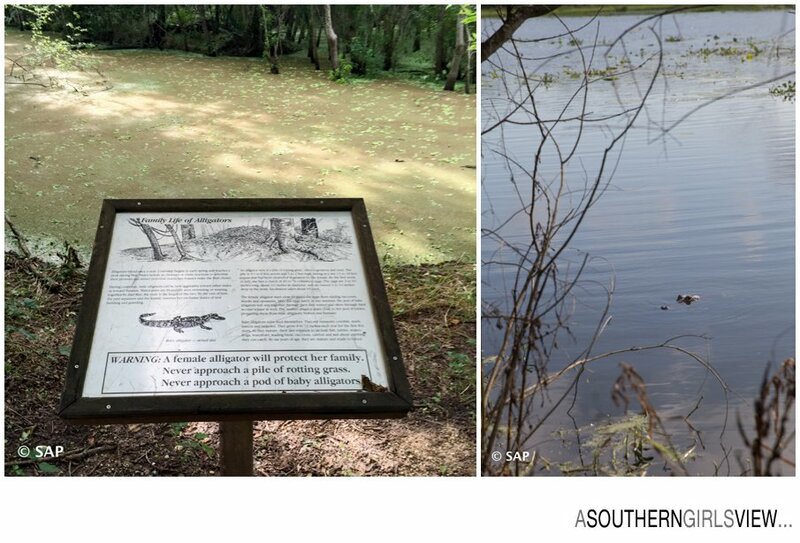 A few of the alligators were basking in the sun and the edge of the trails. 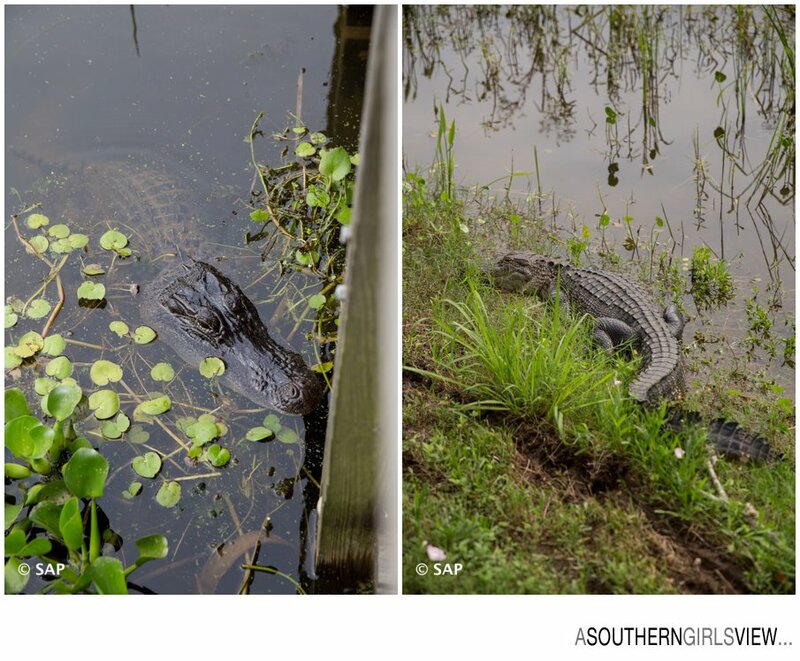 What I found surprising were the number of people walking their dogs and their children so close to these fast-moving reptiles. The only danger I faced was continually not paying attention and stepping in ant hills – oh so not fun! Yes there was even a large variety of birds present. 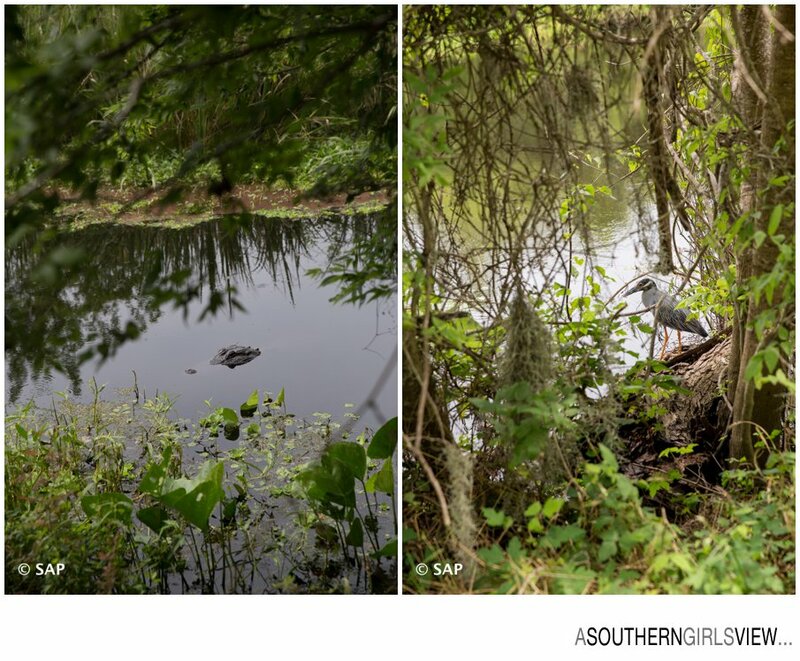 A guy was fishing from the small bridge and dangling fish in front of the waiting alligator. 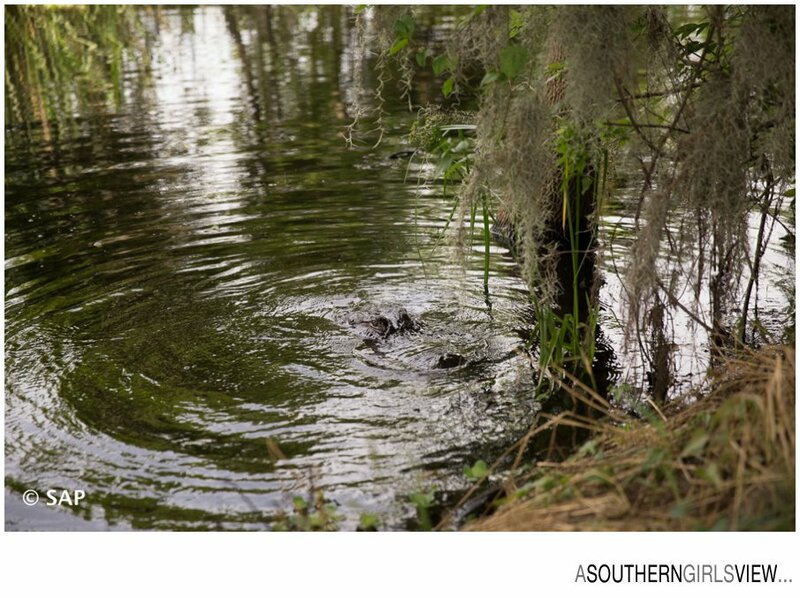 The 9ft long gator even came out of the water to pursue the fish. 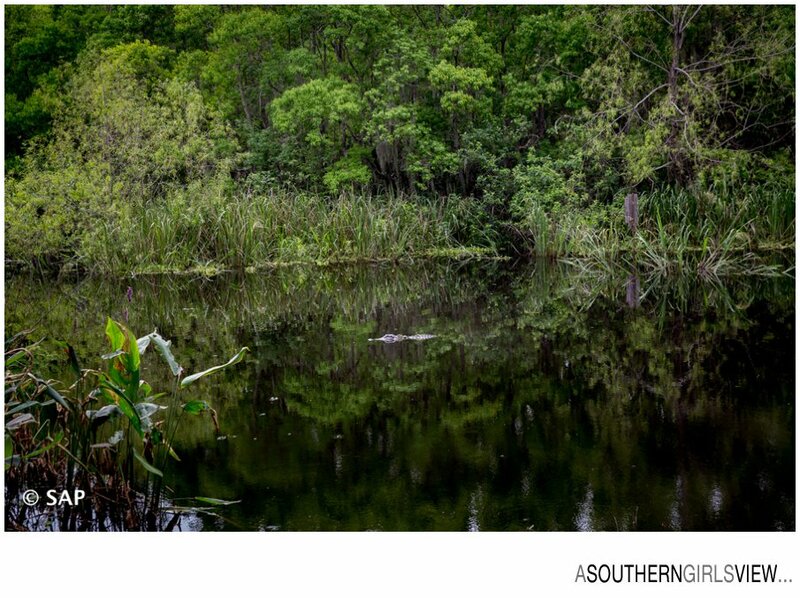 Love seeing those little eyes sticking up out of the murky waters. Can’t you hear that Jaws theme music playing?! This guy was lurking just beside the little dock. 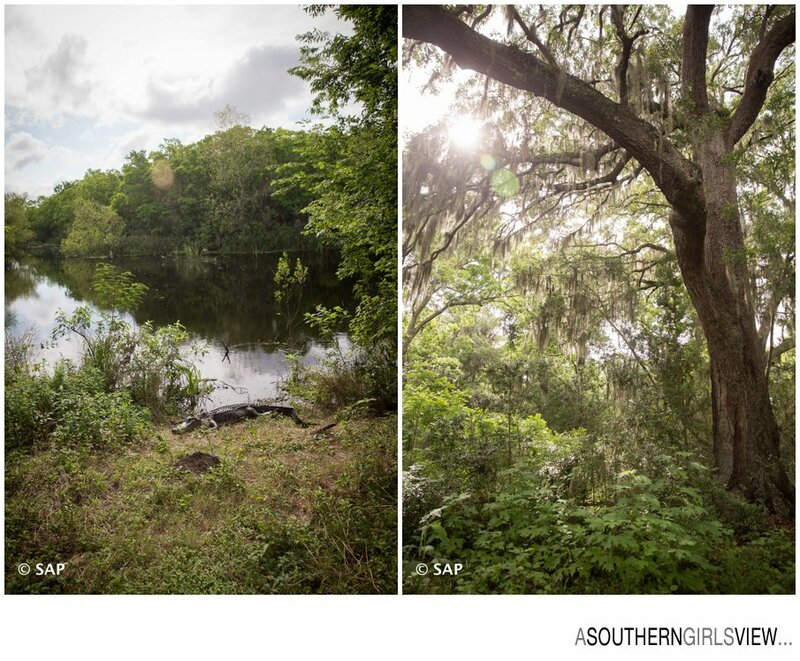 Photo on the right reminds me of the show Lost and we could hear growling in the tree line – probably wild hogs since we saw very large traps close by. This was last gator of the day eating a late afternoon snack – you could actually hear him chewing up what was probably a turtle.